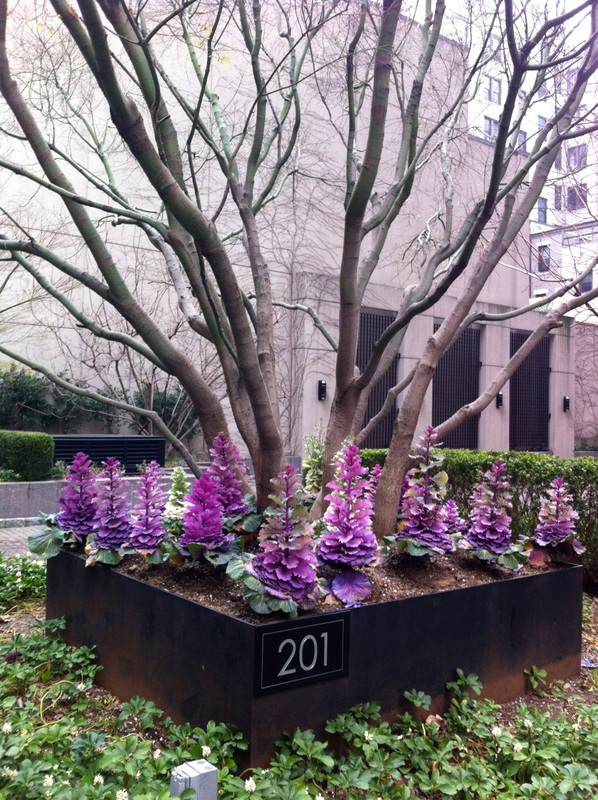 201 West 70th Street is unique because the entrance for the building is off of the street and through a courtyard. The courtyard is planted very nicely and there is a private garden for the building adjacent to the entry area. Trees are planted into semi-submerged steel boxes that act as frames throughout the garden beds. I actually like this idea a lot, and the design was executed nicely. 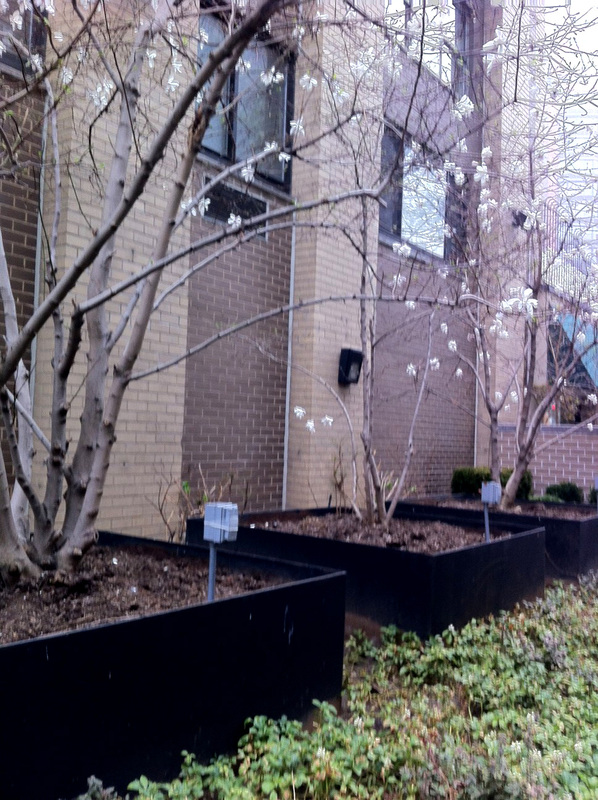 Which does not belong in this planting: Magnolias, Pachysandra or Electrical Outlets? ….That is until I walked further down the sidewalk and noticed these electrical outlets sticking out of each steel frame. It doesn’t seem to make any sense to have them there and that is one detail that shouldn’t have been overlooked. I like the design but I can’t let that one slide. I know that sometimes as a designer, we can’t always control these things, but there has got to be another solution to help disquise them!